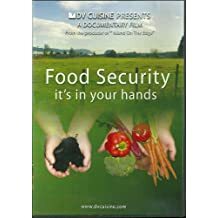 Food security is an issue near and dear to my heart. Although I live in Canada, not all our citizens have access to sufficient, safe and nutritious food to maintain a healthy and active life at all times. Listen to my interview on the Radio talking about my personal experience with Food Insecurity here. Food security is not just a poverty issue. It is a much larger issue that involves the whole food system and affects everyone in some way. Read my article about much needed Policy Changes to alleviate Food Insecurity here. As consumers, do we think about what is in the food we buy? How it is grown? Who is involved in growing it? 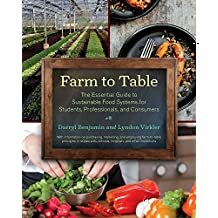 Where the food comes from? 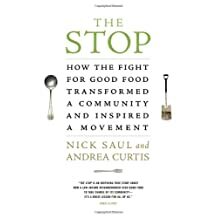 How can we make changes and think about food differently? Can we support local, small-scale farmers who produce food in sustainable ways? Can local, small-scale farming feed a projected world population of 9 Billion people by 2050? It is a myth that world hunger is due to scarcity of food. We need to rethink how we are going to feed the human race. Read my article about inspirational grassroots Urban Food Growing Projects from around the World here. Food is ruled by market economics and regarded as a commodity. Maximizing profit margins is the main goal. This creates a divide between consumer and producer. The consumers’ control over the source and quality of their food is decreasing as hunger, malnutrition , environmental degradation and poverty for ‘third’ world produces results from this food system. Read my article about Creating Food Security for All here. 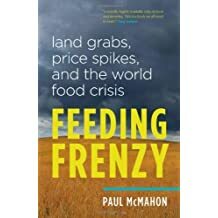 Interestingly, very little is written about food security in Canada. A simple search returns a results webpage with generic government statistics and cursory data and general placating policies. Public dollars are spent on supporting charitable organizations who do their best to fill the food insecurity gap short-term, but do not address the issue long-term. Here are some resources to get you informed, interested in grassroots change and perhaps even wider policy change. This book is about the fourth world conditions that exist on many Aboriginal reserves in the Canadian North. Alexandra is a journalist and former MacLean’s Magazine editor who visited the Kashechewan Reserve in Northern Ontario to report on a water crisis. She walked away with a changed woman and a book that details the abhorent consequences of ignoring those who we render powerless by virtue of our power. 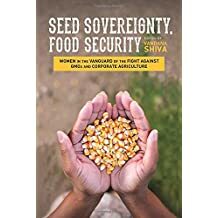 As Alexandra Shimo lays out in this book, food security and racialized poverty are major issues. She demonstrates just how high level political and economic policies play out in the daily lives of people. 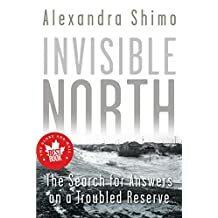 Alexandra’s book gives a hard and honest look at the disparity that exists and the barriers (historic, political, social, economic) faced by aboriginal people almost every step of the way. Despite Canada’s 1998 Action Plan for Food Security, equal access to nutrient dense food is far from reality. I couldn’t put this book down. It should be mandatory reading for younger generations so they can use their brilliant young minds and inclusive thinking to develop sustainable solutions top down and grassroots initiatives once and for all. 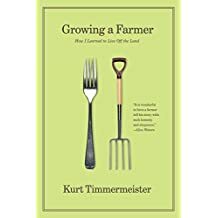 Growing a Farmer: How I Learned To Live Off The Land by Kurt Timmermeister. Kurt was a Chef in Seattle and a successful restaurateur. His life changed dramatically when he purchased four acres of land in a nearby island. Kurt tells us how his consciousness of food, where it comes from, how it is produced, what goes into producing it and how it was traditionally prepared increased and evolved by being close to and working with the land.